Nintendo completed some Nintendo Network maintenance in brief windows during the Holiday season, along with some minor downtime, resulting in a fairly stable period overall. The latest announced maintenance has, however, caught our attention. The timing and length of the planned maintenance is interesting; there'll be around ten hours of downtime and it's falling almost two months to the day since the last Nintendo Direct of 12th November - assuming we treat the Super Smash Bros. presentation of December as a separate entity. Of interest is the fact that the last 10 hour maintenance window in December actually came shortly before Masahiro Sakurai's Smash Bros. video presentation - standard maintenance often runs for anything between 1-5 hours. At present the official website is simply stating that 'some network services' such as 'online play, rankings etc' will be unavailable on both Wii U and 3DS. The dates and times are below. From Monday, January 11 at 5pm Pacific / 8pm Eastern until Tuesday, January 12 at 3am Pacific / 6am Eastern. From Tuesday, 12 January at 1am UK / 2am CET to Tuesday, 12 January 11am UK / 12pm CET. This could, of course, be dull but important behind the scenes work that will have little impact on us, preparations for system updates, or if we're really lucky the timing could point to a fresh Nintendo Direct. The company has stated that the broadcasts will remain a part of the landscape, and in past years presentations often came at intervals of 6-8 weeks. I'm at University around that time anyway and when I get home, I am probably going straight to bed. So no problem for me. And I also don't wanna read that much into some maintenance work. Bring SNES to 3ds virtual console. @GoldenGamer88 I'm fairly certain your edit is wrong, 1AM until 11AM is 10 hours. Nintendo Account and My Nintendo maybe? Didn't see them mentioned in the article but I am barely awake. And I don't believe in coincidences, but that 2 months since the last ND is a stretch even for me. Seems too early in the year. Though I suppose Pokken needs a date, and Starfox z and TP HD are coming. Guess we'll know in a few days. I'm guessing it's just boring behind the scenes maintenance, or perhaps preparation for the Nintendo accounts later. I doubt anything interesting will emerge immediately afterwards, but I'll be pleasantly surprised if I'm wrong. Hopefully it does mean a Direct, would be nice to get concrete details on the 3DS to Wii U transfer for Hyrule Warriors Legends bonus content (contents and process) which comes out in Japan in just over 2 weeks time. Also a release date for FE Fates! @rjejr @Tsurii Yeah, sorry about that. Those AMs and PMs confuse me sometimes. Guess it does hurt me a little bit, though. WOW, this is also the anniversary ot the pixel and 10,000 minutes since somebody sneezed in Nintendo HQ!!!!! MARIO GALAXY 3 CONFIRMATION!!!! sorry but I'm conditioned to not take this kind of thing seriously anymore. @Grumblevolcano Same it will also be good if they showed off some new footage and release dates. Possibly some new announcements. Seems likely tied to the implementation of the new rewards programme. @MadAussieBloke almost like how people saw the coding for PS2 games on PS4 and lost their minds praising their favourite company for bringing some form of backwards compatibility to their 'next-gen' system two years after launch, only to later have it be confirmed it was just selling you stuff. Again. For $15 a pop. Again. @andrew20 SNES to 3DS virtual console would be awesome! I know it's not going to happen but we can dream. I imagine it's also getting ready for MyNintendo. Since Wii U and 3DS are likely getting what will probably their last major system updates in March for the program. And asive said before we are probably getting a direct before March 1st. Just like every other update, this probably means nothing. I laugh at the people who get theirs hopes up over a common practice. @ikki5 It almost always means something but that something is usually 3DS stability. Well, the last 10-hour maintenance was basically nonexistent, I could still play everything online. So I guess it will be similar this time. i want to officially start the unfounded rumor that the update is to bring gamecube games to the eshop. it will start with smash, f-zero, pn03, killer 7, pikmin, fire emblem, and mario strikers. Well at least I will get a night of Xenoblade Chronicles X without having the miiverse equivalent of the Nigerian prince scams promising me untold riches for pressing L + A.
Ahhh.... yes.... the good old tactic of Nintendo fandom generating hype only to ultimately result in disappointment and rage against the company of Nintendo... all for the purpose of igniting interest and sparking conversation. Seems rare these days that Nintendo is actually causing fan rage, more so sounds as if over-hyped up fans get their wet dreams all bent out of shape and realize their imaginary world they created is not reality. I'm guilty of that myself quite a bit. Please don't stir up rumors, dear fans. OH MY GOD! THIS...means absolutely nothing. I know sites need their 'We Told You So' moment if something big were to come but I barely get excited when I hear about maintenance, on the contrary my only concern with updates is what if they'll block my Region Free Homebrew when I have a big region assorted 3DS game collection and even more games arriving from Japan and Europe. Could be something, could be nothing. There's a new vulnerability that sort of allows exploitation of any console (by downgrading the firmware) to patch out, so my bet is on that. Come on sweet stability, papa need his stable fix. @andrew20 no, bring Gamecbe to wii u virtual console. Luigis Mansion, SUper Mario Sunshine, Twilight Princess (although they've got the HD one) Metroid Prime (although Trilogy is on there already), and Pikmin. Any other ideas of GC games? 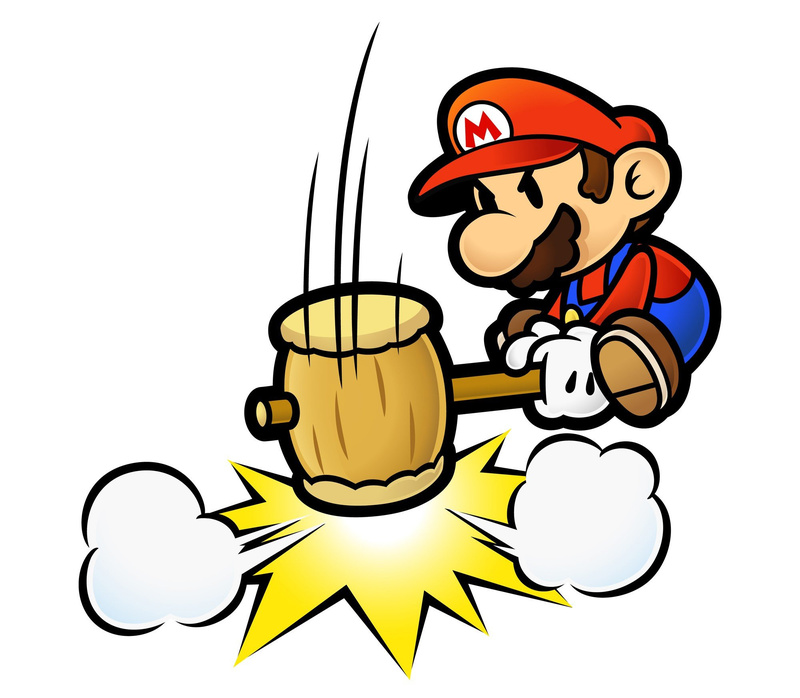 Why is it that you always use that same picture of Paper Mario with his hammer for articles about maintenance? Why not change it up sometime, like maybe a picture of Mutoh and the carpenters working in Ocarina of Time? @Zelda_Rocks Blasphemy. That header image has gotten me through some dark times. @andrew20 That would be fantastic! It's way too much of a bet to hope for a new Direct already... then again, the last Direct was long overdue. Oh good, I was concerned, things were getting a little too unstable for my tastes. People should know by now that Nintendo Network maintenance ≠ Nintendo Direct most of the time. Well unlike the Sony fanboys and the PN outage, at least there's less complain about this one. It means nothing. Only thing to look into is what was added to the NUS. Maybe there will be a 3DS stability update. That's it. Maintenance is just that - maintenance. There's also a difference between maintenance and a software update. Two VERY different things. I'm guessing this is because of that massive 3DS hack that allows anyone with a brain to downgrade to 9.2 and hack their 3DS to no end? @retro_player_22 kinda because we don't pay for this service and this is a planned down-time put in place by the company announced way in advance. As opposed to a supposedly top quality service we pay for by a multi-million ££££ company's servers unexpectedly going down for several hours because a couple of teenagers did DDoS thingy-migingy. There's several big differences there I hope you can see. So, Nintendo Direct on January 14th then? Joy! Looking forward to all that extra stability!